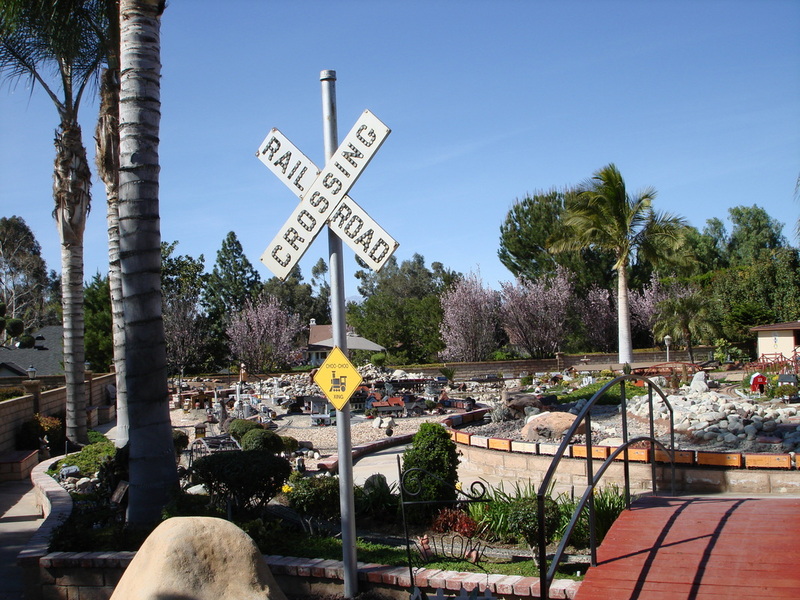 I have been involved with the R&F Railway for twenty years. The owners, Roger and Faith, have been my mentors in this hobby. The following layouts captured my imagination for trains and I have been hooked ever since. 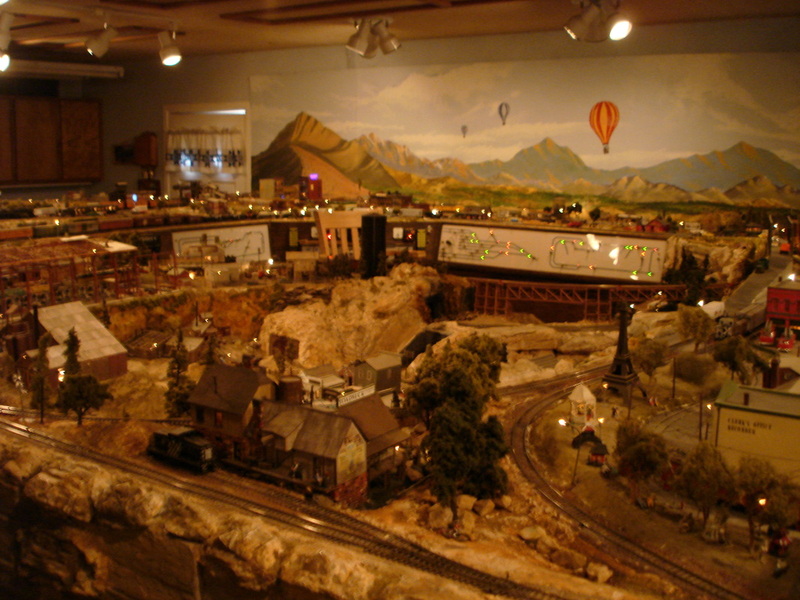 The G scale layout covers 1/3 of an acre with over 4,000 feet of track. Up to seventeen trains operate simultaneously over bridges, across waterfalls, through scenic towns, and through numerous tunnels. All of this is set in the beauty of a meticulously maintained garden. 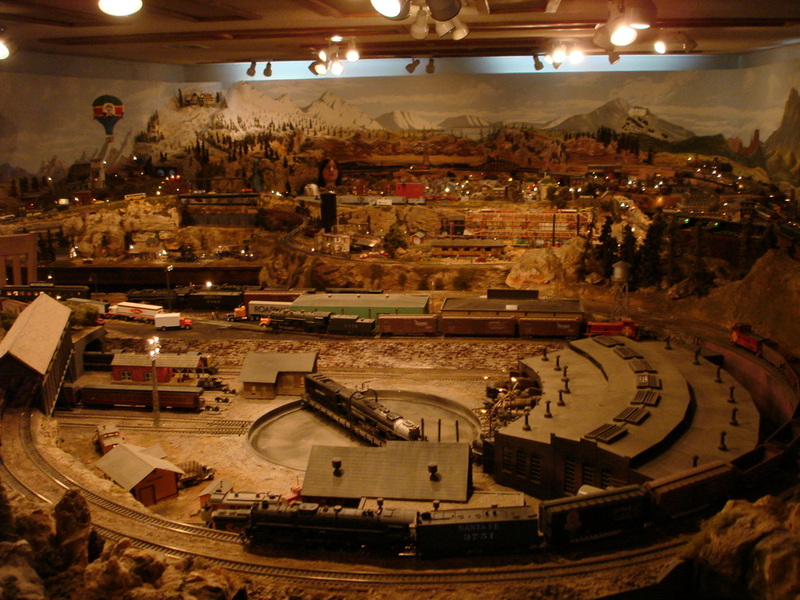 Plus, six trains run on the 22' x 32' indoor HO railroad. 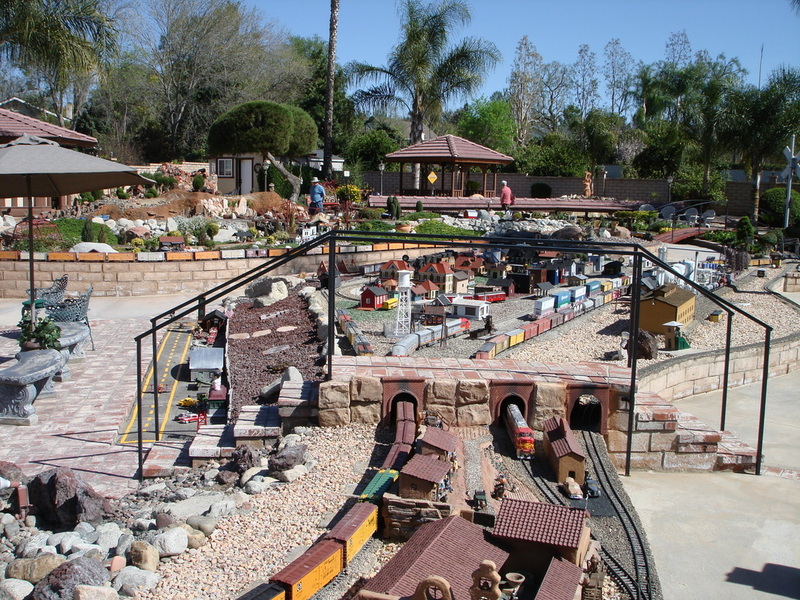 This layout features over a hundred structures all illuminated by miniature lights. Most buildings include a fully detailed interior. The following video was taken with a 'Dice Camera' which is used with R/C aircraft and helicopters to record the flight. Here, the camera gives a great 'engineer's view' of the layout.